GSWA / GSWA Activities / 2018 Gala – A Night to Remember! If success were measured in smiles, this year’s gala would be labeled as highly successful. As it turns out, by all means of measurement it was a triumphant event! With over 150 silent auction and 3 exciting live auction items, the nearly 400 attendees enjoyed some playful competition with one another and made this event our most profitable fundraiser on record. 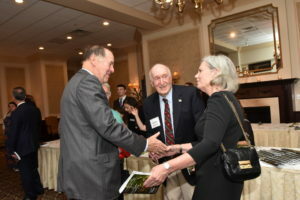 The evening’s honoree, Former New Jersey Governor Tom Kean, thanked the room for supporting the efforts being made by GSWA to protect and preserve the Great Swamp, and urged everyone to continue doing their part to promote a healthy planet. Among the evening’s magnificent attendees were Senator Thomas H. Kean, Jr., US congressional candidates, Mikie Sherrill and Jay Webber, and numerous local and regional elected government officials. Also in attendance were Drew University President, MaryAnn Baenninger, members of her leadership team, current students, and alumni. A special VIP cocktail hour preceded the event for an opportunity to personally meet Governor Kean. The theme of the gala was microplastic pollution. GSWA board member and Rutgers Professor, Chris Obropta, delivered an impassioned speech about the hazards of microplastic pollution, and our plan to combat the issue locally through a newly designed addition to their current water quality monitoring program. This was followed by a “Fund Our Mission” live auction-style request for donations, producing excellent results. The gala serves as our largest fundraiser annually. 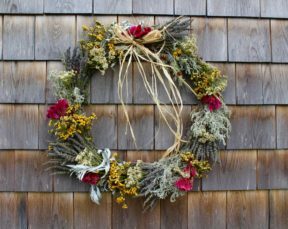 All proceeds from this annual gala help fund approximately 25% of our operating budget, allowing us to continue delivering on our mission of protecting and improving the water resources of the Passaic River region, from the Great Swamp headwaters to Newark Bay, for present and future generations. Thank you to our generous Gala Underwriters: New Jersey American Water, Normandy Realty, Pfizer, Inc., Whole Foods Market, Drinker Biddle and Reath LLP, Private Advisor Group, PSEG, Atlantic Health, Brimstone Consulting Group, and Dixon Energy.